In stock now for just £329.99 including VAT! Hurry while stocks last! 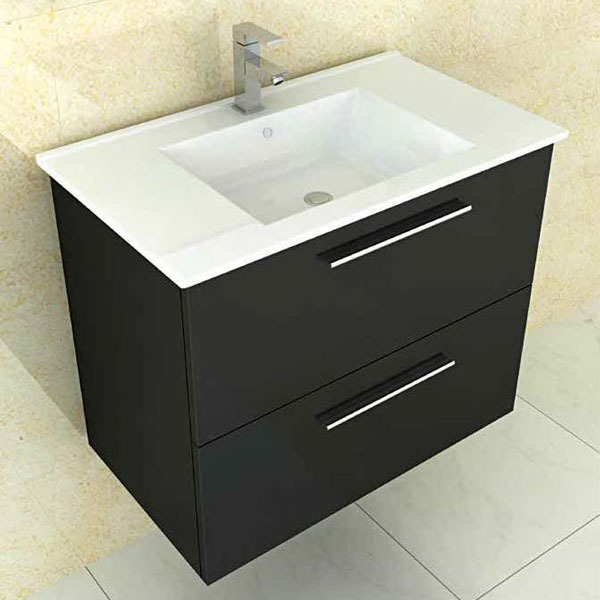 The Tec Studio 800mm High Gloss Black Wall Hung Unit With Basin is the perfect addition to any modern bathroom thanks to its up-to-the-minute designer looks. 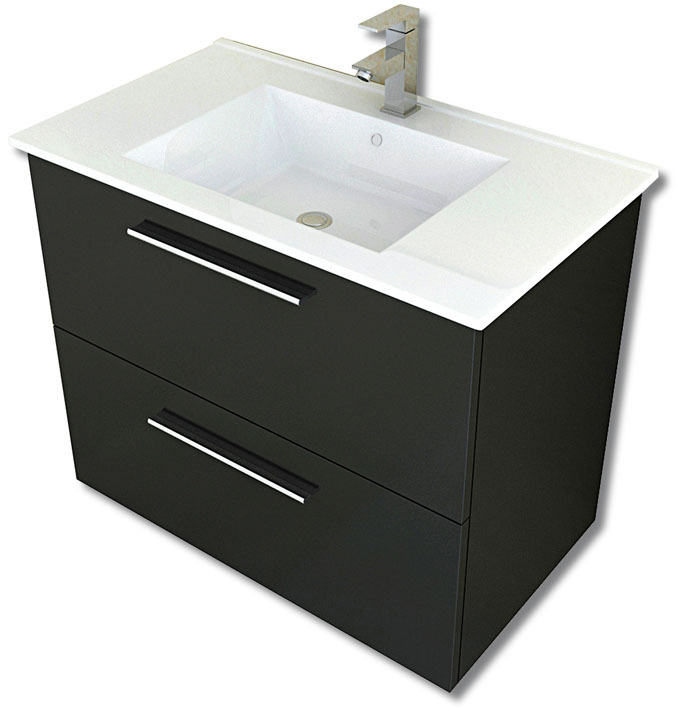 Boasting sleek, bold lines and a stunning cubic shape, this high quality wall hung unit is perfect for modernising your bathroom. With a contrasting and highly memorable colour scheme of high gloss black and a crisp, clean white, this is sure to turn heads. Modern yet timeless, this deluxe bathroom addition will make any bathroom the talk of the town. High quality and stylish modern looks for a wonderfully low price. 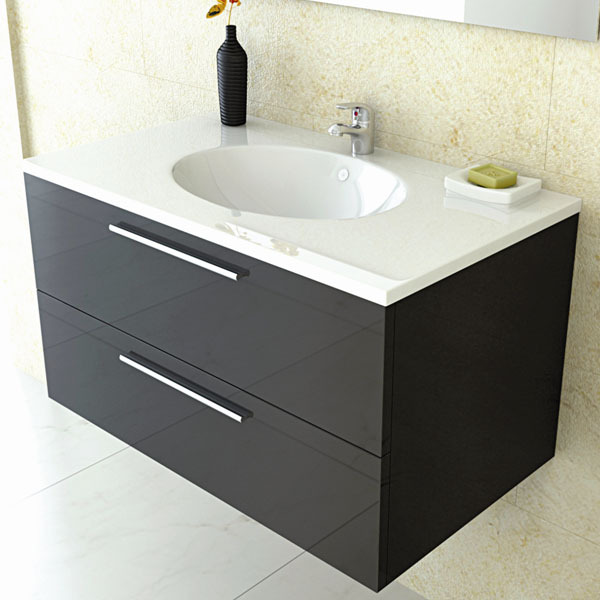 This is high quality designer bathroom furniture which is crafted from the finest materials. It comes as standard with soft closing hinges. 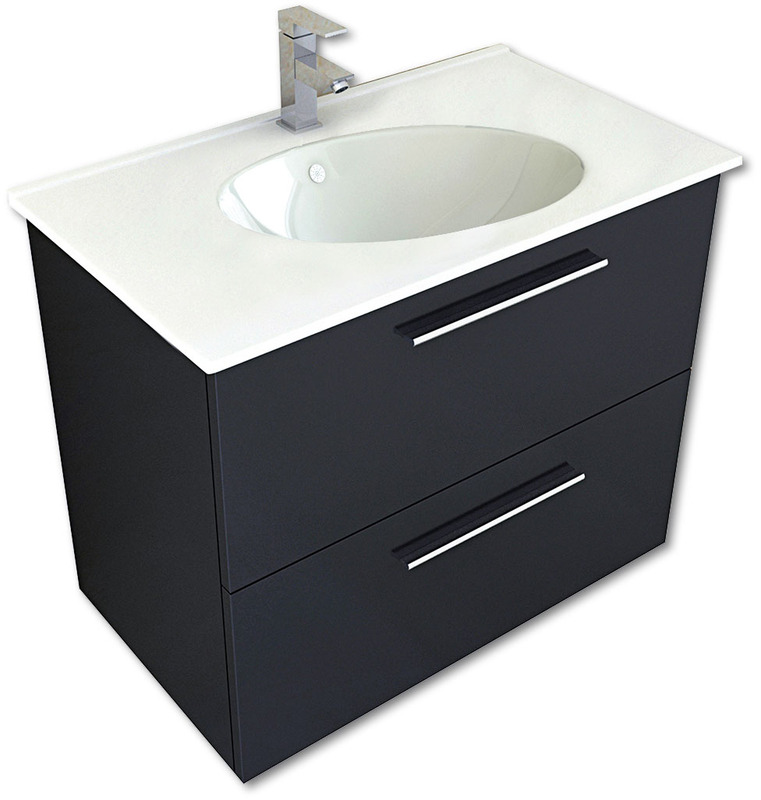 The basin comes with 1 tap hole and is available in a choice of either Round or Square styles, giving you added flexibility and customisation. With sleek chrome modern handles, a bold square look and a striking colour scheme, the Tec Studio 800mm Wall Hung Unit is designed to make an impact. When positioned against matching black or white tiles, or along similar bathroom items or decor, this will create a lasting impression. With stunning designer looks, the highest quality in manufacturing, and an excellent price thanks to the VIP Bathrooms commitment to value, this furniture is the total package. Customise your furniture with the following options.